The Nutrichef oil press is back in stock. When I peruse through your selection of cocoa beans for sale, the stark contrast in colors between the different origins always catches my eye. It's pretty interesting to look at for me. But then that's always made me wonder, have you standardized how you take the photo of each bean origin? As in, do you put the same mass of beans in the same container every time? Do you then use a tripod at a set distance away from the beans to take your shot? Is the lighting always consistent? Blah blah blah. The reason I ask is partly because of the motley colors I see, but also some of the origins simply look more attractive to me than others. I see some origins that are a beautiful consistent deep brown like the Madagascar. Then I see some origins that are really gray like the Honduras. The gray origins make me wonder if there's surface mold on those beans. Then I think if there's surface mold, what are those beans like on the inside? Other origins look multi-colored in the picture like the Mexican Chiapas. That makes me wonder if there's uneven fermentation in those beans or are those beans of mixed age or ??? I understand that you personally vet each origin you bring in and vouch for them. And I know you're not supposed to judge a book by it's cover, but for me some of the pictures may not be doing some of your origins much justice. Can you clue me in? Is there a similar story among gray-colored origins versus the multi-colored origins, etc? Let’s put this on the table. I am a terrible photographer. So terrible that I should not even be allowed to use that term. I take pictures. But to answer your question, I actually do my very best to standardize how I photograph the beans. They are all in the barrel I pack from, with a fill level near the top. The lighting is mostly the same, as is the distance. But I don’t use a tripod. For years I have known I should set up a white space so there are not shadows (I do know to keep my shadow out of the light source) but as of yet, I have not done it. Clearly. At this point it is pretty much an ingrained rule for me to take photos of the beans as they come in. Nothing annoys me more than seeing the same repeated image when I am shopping for similar items. And I do my best never to do that. I also do my very best to capture the differences in the beans. Which it seems I am doing as per your comments. Again, there is little I find more annoying than misrepresentation of what is being sold. Some many years ago this slightly bit me when I reused an image of a previous crop year and although the image was of what I was selling, the new crop looked a bit different and some people objected to a small degree. Which I sympathized with. Which is why I now photograph each new bean. Which brings me to how representative the beans are. Your comments actually reinforce my original statement that I am not a photographer. I think a photographer (a good photographer) does not so much take good photos, but captures what they see AND presents what they see. This is where I fall down. You mention the deep brown of Madagascar. This makes me cringe as to my eye it is a very solid red/brown. Auburn if that can be applied to non-hair colors. That is what I see. That is what I would like display. Likewise, when people visit, I show them the Honduras as the poster child of even and consistently colored beans without even the hint of mold. It’s almost crushing to hear some may think they are moldy. And then we have some beans like Rizek from the Dominica Republic. They look all over the board in the photo, but in person only show some pretty minor variation. And I simply must address mold. I won’t sell moldy beans. What many people think of as mold is dried mucilage from the fermentation. Some is just crappy photography. Recently I had two bags of beans arrive. One bag of great. The other was CLEARLY moldy (and not for sale). Not grey. Moldy! Have a look a what mold looks like. On the other hand, here are two photos of Honduras. What is on the site (left) and how I personally think they look. Not moldy at all to me. The right photo is from my perspective more how they look. Likewise, here is Madagascar. On the left is what I photographed. On the right is what (I think) is in my mind’s eye of what Madagascar looks like. And the same goes for consistency. Sometimes lighting just magnifies subtle differences that when viewed in person are just not as stark. Let's do the Chiapas you mention. Left, again, as is, right what I think I see. Is one more honest or representative than the other? Sure there is more variation than other beans, but when I look in the barrel I don't see the photo on the left. It’s frustrating. And has been for years. I used try and adjust the color balance to what I saw….but I’m a ham fisted ogre there too and I made matters worse. And does it really matter that you think Madagascar is brown when I think it has a hue of red? I don’t think it does. Do you? So now I shoot for basic consistency. And accept, for now, that you are right. Maybe I am not doing some of the beans justice. 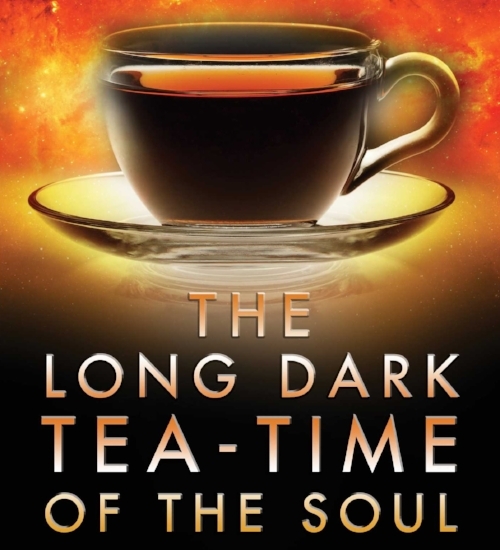 I point out time and again one should not judge a book by its cover (I’m glad you point that out too), try to write up really detailed tasting notes and paint a picture of senses, not just visually. And at the end of the day, it mostly works. I’d rather be known for being straight shooting and earnest in my presentation of beans than being a photoshop wizard. What are you thoughts on the matter? We are kicking the new year off with three new beans. First, the brand new one, and maybe my favorite of the bunch (since I just finished writing up the review, it is of course the last chocolate I ate, so of course it is my favorite). 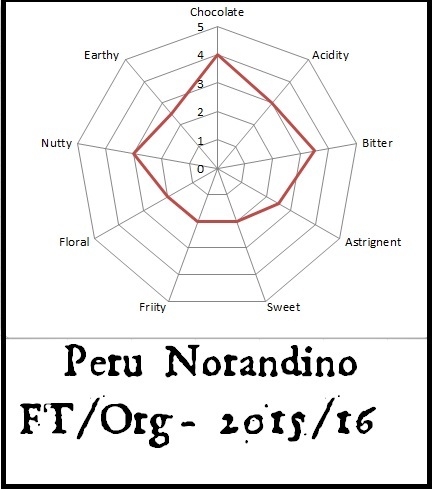 Peru FT/Org Norandino 2015/16 - There is orange marmalade, molasses and dried pear competing for dominance. Uganda Org 2015 - There is an undeniable roundness to the flavor profile this year. Very base and solid chocolate. I find an inherent sweetness that contributes to the perception of a full flavor. And lastly, I want to remind you of one we put up last month. Honduras Wampusirpi. We are down to the last bag, so get it before it is gone. Honduras Wampusirpi 2016 Direct Trade/"organic" The first aroma I get is of soft leather, like a supple piece of deer skin. Buttery almost. With that comes along flavors of bright dried fruits. This just might be my favorite bean from last year and this lot is imperceptible in it's differences. Have you found a good sugar grinder that lasts? Numerous times, when my grinder breaks, I just put the coarse sugar into the melanger. And at first I noticed the chocolate seemed to get smoother, quicker than when I ground the sugar first. I thought it was a fluke. But it just happened again last night—after 10 hours with coarse sugar the stuff was as smooth as it could possibly be. So here is my hypothesis: when you grind sugar first you get a powder that is probably somewhere between 60 and 100 microns, but many more individual pieces than you started with. And these may or may not get caught under the wheel, and may not even get crushed unless they hit it just right. On the other hand, with coarse sugar you have far fewer individual particles that are larger, and when one of them goes under the wheel it pulverizes. Producing a finer grain size than if it had been put through a spice grinder. So many levels to this question. Where to start? From the top down is good. Yes, I have a grinder I like. It is the Panasonic Grinder. But. Just like the description says, I don’t recommend it for grinding your sugar IF your goal is to reduce refining times. But I love it for Brewing cocoa and making my own Masala and curry pasts. In short, I have noticed the same thing you have and have stopped actively recommending people pre-grind any of their ingredients (whole coffee might be the exception). Your hypothesis is as good as any. But I will add in that I think the sugar, being actually rather hard, is acting as a kind of abrasive and is both self-milling down and helping to refine the cocoa particles in the chocolate. And the larger the better. The other observation I have made is in regard to melanger speed. My experience has shown that if you put in finer, pre-ground sugar and cocoa it actually makes the mixture thicker and consequently slows down the melanger and thus your refining time. Somehow letting it grind down the larger particles keeps things moving along nicely. So, whether any of those theories are actually correct or it is some combination of all three, the result is that I no longer recommend pre-grinding any of your ingredients. Yes I used to, but I’ve tried to edit those out and if you come across them, please feel free to point them out and I will change them. We don’t want contradictions. I’m so glad you have the Premier Grinder now. But I now don’t know which one to pick. Which is your favorite? One day in, and I’ve already had this question multiple times. Fair enough. It’s kind of like asking which of your children you love more. Or for those of you without children, which parent. Or brother. Or sister. You get the idea. You might get along with one more than the other. You might go to one over the other in certain situations. But one rarely is a ‘favorite’. It’s the same thing here. Really, it’s your call. But here are my thoughts on them laid out. I like the 9 lb capacity of the Spectra 11 vs the Premier at about 6 lbs. I don’t like that the Spectra 11 seems to have a tendency to go through belts faster than I like. I don’t like that the cone on the Premier’s bowl strip its threads after some time (mine was over a year of heavy use) (they are looking at addressing this – and keep in mind this is an unmodified Grinder, not officially a modified Melanger). I like that they both have Warranties. I like that they both can grind nibs, although I’ll admit because of the Spectra’s belt appetite, the Premier does do a more efficient job. I like the foot print of the Premier. I like the larger grinding area (larger wheels) of the Spectra. That’s about it. And counting up, it’s basically a wash. It comes down to preferences, budget and need. First there is a new origin. Organic Uganda. Dry tannins offset by a good backbone of chocolate. I also have an old favorite back. The smaller size Escali Scale. Plus there is a new IR Thermometer. I've absolutely fallen in love with this for roasting, grinding and tempering. And finally, for the newest, most exciting BIG reveal, we are now offering, WITH WARRANTY, the Premier Wonder Grinder!! Just a reminder that this is the last day for ordering Cocoa pods. Then it will be another month or so. No fooling :) And as I keep forgetting to mention, I've had really good luck drying the whole pods. I accidentally let a couple in my refrigerator, wrapped in the paper they come in, and a couple months later they had dehydrated very nicely, with rattling beans inside (as one lump, not individual beans). They turn a rather nice chocolate brown.